Feds earmark $20M for deepwater wind power research | The Portland Press Herald / Maine Sunday Telegram. Windmill farm near Mars Hill, Maine. Photo by Kelly McInnis. Past readers know that I very much like the use of alternative energy – solar, wind, wave. Wind energy – from both onshore and offshore wind farms – has received a big push in Maine the past couple of years. 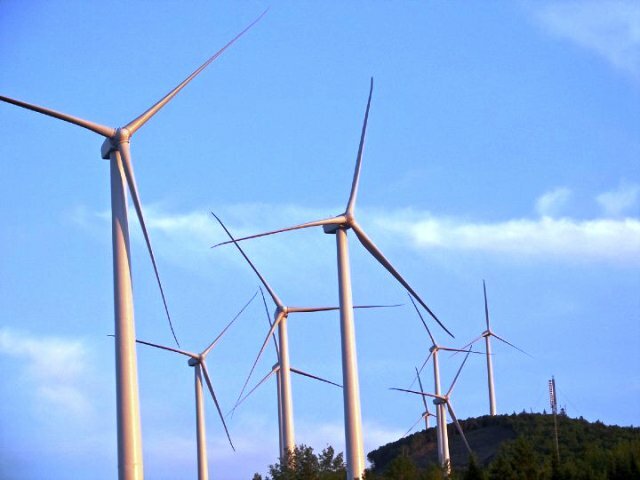 There is plenty of wind to go around in Maine, especially along the coast, and harnessing that wind will greatly ease this nation’s addiction to foreign petroleum. But some communities in Maine are concerned with issues associated with wind farms, namely the noise the huge turbines cause. And I’m sure more than a few Mainers are upset with the interruption in viewscape. Here in California, wind farms have become part of the landscape mostly because of the clean energy they provide. It is my hope that power companies and government officials will find a way to mitigate the problems so that wind farms can provide clean, sustainable energy for a very long time to come. Here are a couple of photos Kelly McInnis shot last week at the wind farm near Mars Hill, Maine. They are published here with her permission. State point man on offshore wind clearly energized | The Portland Press Herald / Maine Sunday Telegram. Energy week’s second wind | The Portland Press Herald / Maine Sunday Telegram. Secretary of the Interior Ken Salazar on Wednesday approved the Cape Wind offshore wind farm, completing the last regulatory step for the project which was first propsed for Nantucket Sound about eight years ago. The project has been delayed throughout the permitting process by opposition from coastal residents who fear the wind turbines, which will be erected five miles from shore, will devalue coastal properties and affect tourism. Salzar said the developer of the $1 billion wind farm must agree to additional measures to minimize the potential adverse impacts of construction and operation of the facility. 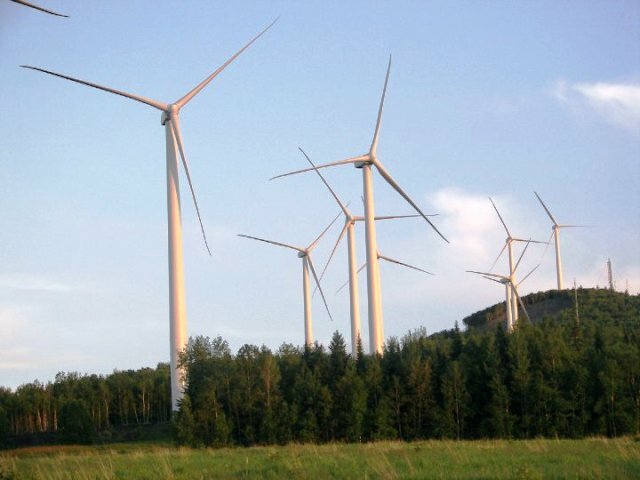 The Cape Wind project is expected to be the first wind farm on the U.S. Outer Continental Shelf, generating enough power to meet 75 percent of the electricity demand for Cape Cod, Martha’s Vineyard and Nantucket Island combined. Click on the link to read the rest of the SustainableBusiness.com press release.